Discover 62 awesome places to ride! This special issue brings together 18 of the best British routes ever to appear in MBUK or What Mountain Bike. Each route comes with a detailed analysis, directions, and Ordinance Survey map. There’s also full descriptions on 44 of the UK’s finest trail centres, enabling you to find somewhere to ride wherever you live, whatever your riding level. Be the first person to tell us what you think about Mountain Biking UK Ultimate Ride Guide and you'll save $5 on your next purchase! 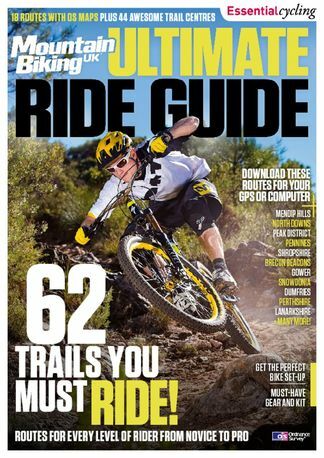 https://www.isubscribe.co.nz/mountain-biking-uk-ultimate-ride-guide-digital-subscription.cfm 14783 Mountain Biking UK Ultimate Ride Guide https://www.isubscribe.co.nz/images/covers/nz/541/14783/square/MountainBikingUKUltimateRideGu191695915.jpg NZD InStock /Digital/Sports/Cycling Discover 62 awesome places to ride!